Everything was great, from beginning to end. Elias is a wonderful host! Amazing views! Very comfortable accommodations and the staff was terrific! Location was incredible. Incredible views of the ocean as well as sunset views. Great location for watching sunset. The house is very new with good facilities. Elias was very helpful and nice. The welcome wine bottle was wonderful as it came in handy for our sunset watching. Perfect location to watch Oia sunset. Breakfast was amazing on patio every morning! Everything was amazing. The location perfect. Elias was lovely and helpful. The best views, cozy room. Amazing view with a private deck. 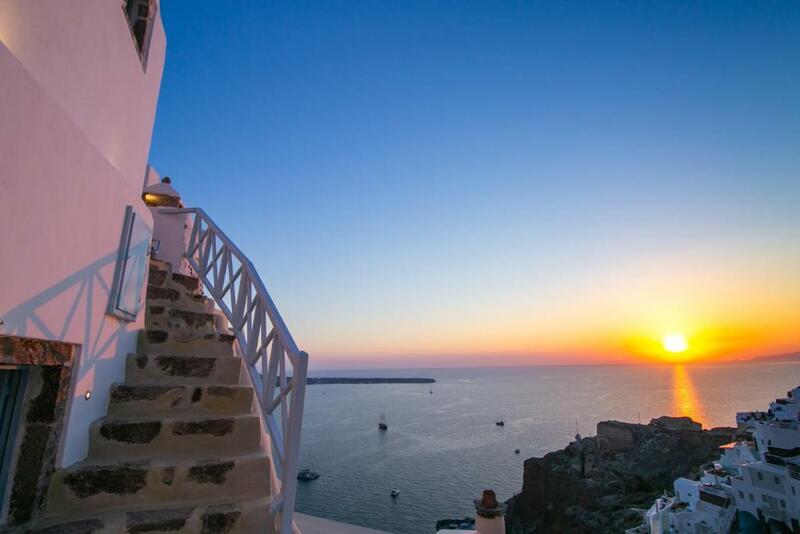 Sunset view is one of the best in oia. Nice Breakfast served on the deck. 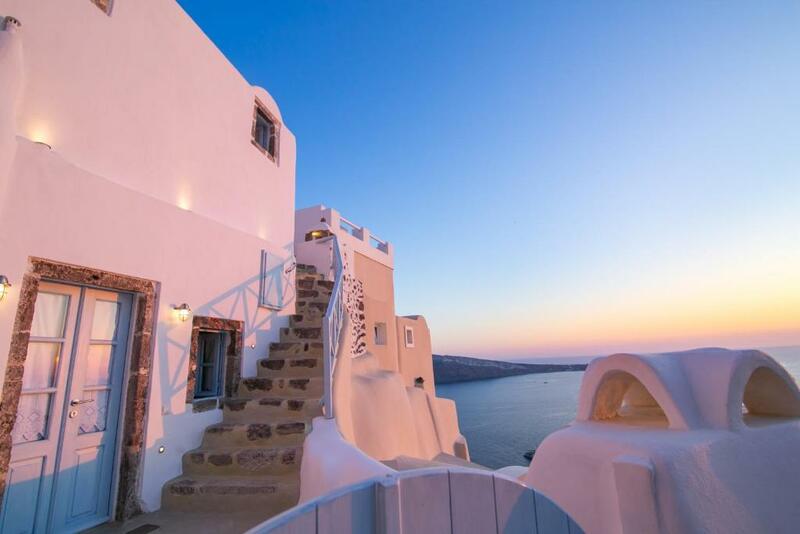 The apartment had a great central position in Oia, much sought after at sunset. Stunning views. We loved the hot tub and the breakfasts brought to us by Julia who always had a smile. A very special place to stay. Lock in a great price for Kastro Oia Houses – rated 9.4 by recent guests! 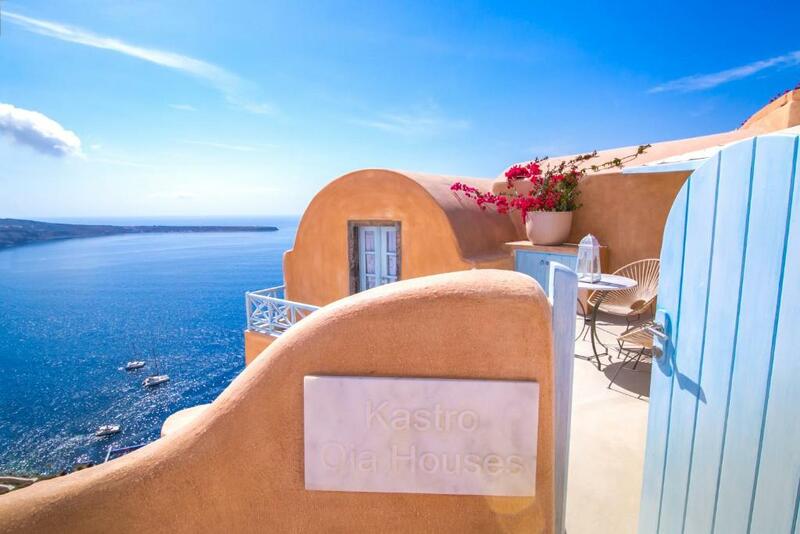 One of our top picks in Oia.Located in the scenic Oia, Kastro Oia Houses offers cave suites with spacious terraces and hot tubs overlooking the Aegean Sea. It features a restaurant and serves traditional Greek breakfast in the morning. Suites at Kastro Oia are decorated with respect to the Cycladic style and they all have free WiFi. They come with a flat-screen, satellite TV, mini-bar, fridge and coffee maker. Bathrobes, slippers and free toiletries can be found in the bathroom. Guests can enjoy local specialties at the property’s a la carte restaurant, while there is also a bar serving snacks and drinks. Ammoudi Beach is 1,650 feet away and Oia Castle is 150 feet away. Santorini Airport is 8.7 mi away, while Athinios Port is at 11 mi. The nearest super market is at 1,650 feet. 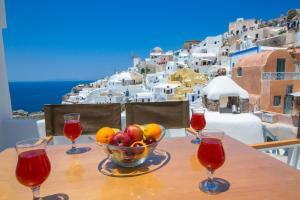 When would you like to stay at Kastro Oia Houses? 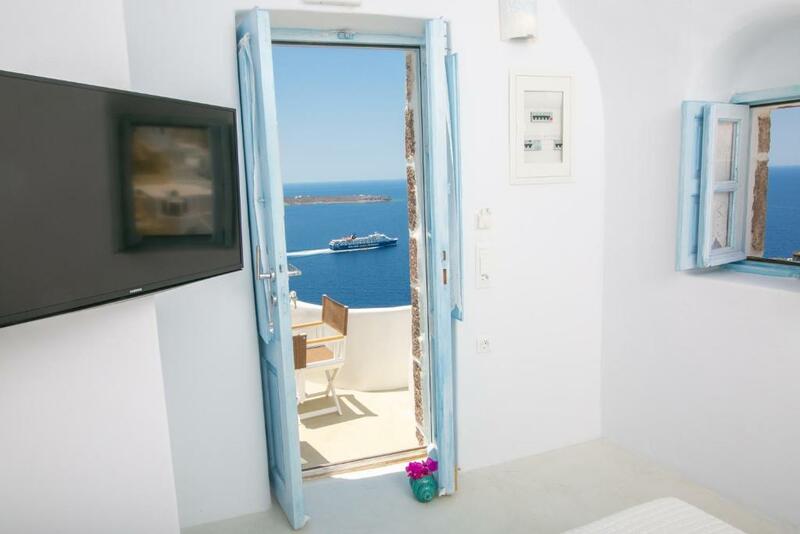 Featuring a terrace with an outdoor hot tub overlooking the Aegean Sea, this air-conditioned suite comes with a satellite TV, mini-bar, bathrobes, slippers and free toiletries. Free WiFi is available. Opening to a private terrace with sunset views, this suite includes a cave-style hot tub. Located at the tip of Oia, next to the old castle, where the best view of the sunset can be seen. House Rules Kastro Oia Houses takes special requests – add in the next step! Kastro Oia Houses accepts these cards and reserves the right to temporarily hold an amount prior to arrival. Please inform Kastro Oia Houses of your expected arrival time in advance. You can use the Special Requests box when booking, or contact the property directly using the contact details in your confirmation. The host and support staff were very helpful and accommodated all our needs. It took us sometime to find it, because the signal was was not always great around the island. But we managed in the end after I spoke to the hotel manager on the phone. He met us in the rain outside, which was a lovely touch. They never changed our sheet or towel in our four days at the hotel, or replenished our toiletries. We didn’t mind too much, but we should at least be given the option. Only minor downside. It had so much characteristic. The hotel manager was amazing. It’s more like a BnB than a hotel, because we had our own court yard and there was no hotel reception. We lovely it. Our terrace was the best position to see the famous Santorini sunshine, three days in a row. The jacuzzi was perfect after a long day walking around. The breakfast was also pretty good. The bathroom did not have a door, which was really funny. Wi-fi signal great. Parking was convenient. Warm inside, given the windy whether outside. The jacuzzi is abit hot. We stayed 2 nights in their deluxe villa & it's lovely. Excellent location to see the sunset from our balcony & it's near the Oia Main streets where all the shops are. Excellent service for carrying our luggage climbing the stairs & sending our breakfast daily to our balcony so we can relax & enjoy with a seaview. It's Clean & comfortable with Netflix & private jacuzzi (though it's a bit hot so we can't soak for long). Excellent breakfast, needless to say, its delicious & also the complimentary wine. 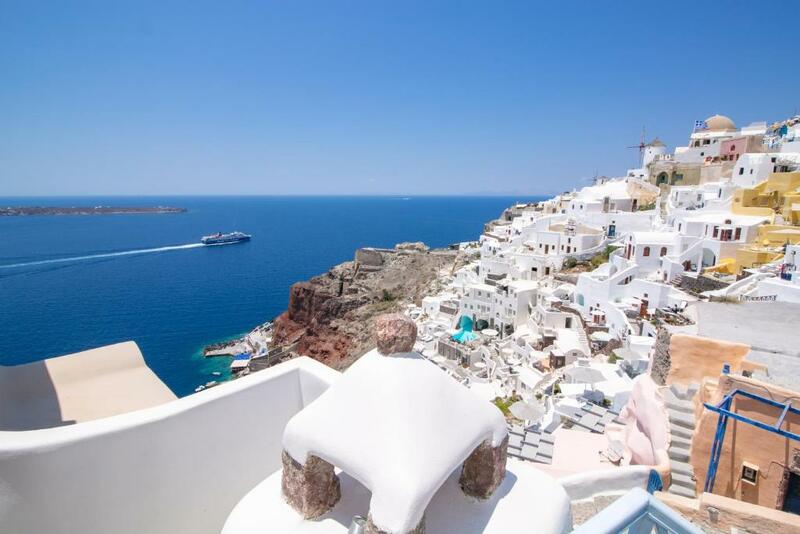 The location and the room were amazing and compared to other houses, this one is better because privacy is usually hard to find on the cliff houses in Oia, this one is perfect !! Kastro Oia Houses went above and beyond our expectations in all aspects : personalized and attentive service, quality and confort of the room, private jacuzzi, amenities in the room... the list is long! to cut it short, I strongly recommend. Get ready to have people camping on your entrance to take pictures, even opening (or trying to open) the entrance door and offering money to take pictures. People literally climb on top of your entrance and can see you inside, so your terrace is not private, be aware and wear swimsuit in your jacuzzi hahaha. In the first white house our indoor jacuzzi decided to switch itself on at 4:45 AM, which was a little annoying as it couldn't be switched off. In the second orange house water temperature was very low and didn't rise till the morning. Bathroom in the main room was very uncomfortable, since it didn't have any door, people could potentially see you from the entrance to the room. First of all, talk to the host before your arrival. He will arrange your pick-up from the port, welcome you at the walking zone entrance, take your luggage and walk you to your house. Literally it could not be easier and more comfortable. :) We had 2 rolling luggages, some hand luggages and could not even imagine taking it all to the house. Plus he took the time to explain everything about the property, the rooms, appliances, etc. 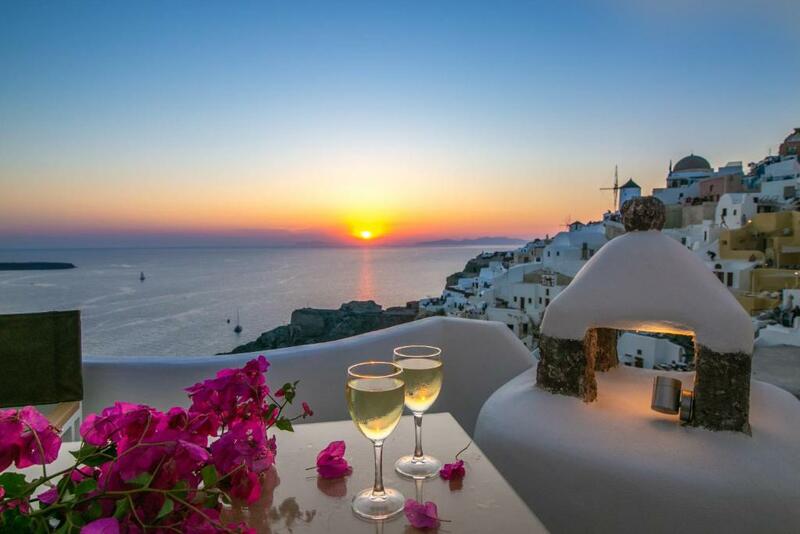 We were also welcomed with a bottle of white wine so we could enjoy the sunset from our terrace. We stayed in two different houses: - The white house with blue gate had a very lovely view to the hill town, which was our favourite. The main room had a indoor jacuzzi which was very nice touch! The bathroom was very nice and spacious considering it's a cave and the bed was very comfortable. Plus we had a terrace on top! Great spot for breakfast if weather allows. The house had a fully equipped kitchen with washing machine and dryer, which was an excellent surprise. The living room area was really nice and useful. (This house actually has 3 rooms, perfect for 3 couples or a group of 6.) - And the (Instagram famous) orange house with blue door and view to the caldera. The two rooms in this house have separate entrances and a common terrace. The main room also had a jacuzzi but with view to the terrace. And the bathroom is downstairs with no door, which was a little weird. There was no kitchen in either room or washing machine. Both rooms were nice and spacious but we did not have a common living room like in the other house. The host and his staff went out of their way to make our stay perfect, breakfast was served precisely on time and they were constantly making sure the houses were clean. Not to mention they were very friendly. We loved our stay in there. Elias the manager and the staff we met are always friendly and helpful. The location of the hotel is second to none, we had the suite with sunset view and the view from our balcony is just absolutely amazing. The welcome wine and fruits are delightful. The Jacuzzi is very nice as well, allows privacy which is difficult to come by in the area. Very friendly staff with excellent view. Can view the Oia Sunset right in front the balcony. Host had offer us a complimentary wine, fruits and freeflow capsule coffee. Can enjoy the sunset right in front our room. This place was amazing. Total paradise and the huge breakfast served on our balcony everyday was incredible. Tv even had Netflix! The staff were also very helpful. Could use more water pressure in the shower, but such a minor issue. The washroom shower made the whole washroom wet after a shower so it was a bit annoying. Because it’s such a great location it’s crowded around sunset! Breakfast was great but a little change of menu would be nice throughout the week. The breakfast was absolutely lovely but the same every day. It would have been fab to have had it mixed up a little due to the duration of our stay. At our particular property there were no sun loungers on the terrace - we knew this before we came so it is by no means a moan. However, it may have been nice to have had the opportunity for a little sunbathing and relaxation on a lazy afternoon. Elias and his team were wonderful. We stayed the the double room with sunset view - and what a view! We couldn't wait to get back to our room at the end of a day exploring the island. The room was cleaned to an exceptional standard and Elias checked each day what time we would like our room cleaned so we were not disturbed - a thoughtful touch. The terrace was very private and not overlooked by tourists flocking in to catch the famous Oia sunset. The Nespresso coffee machine was a great touch with our coffee stock replenished every day. We would 100% visit this property again.